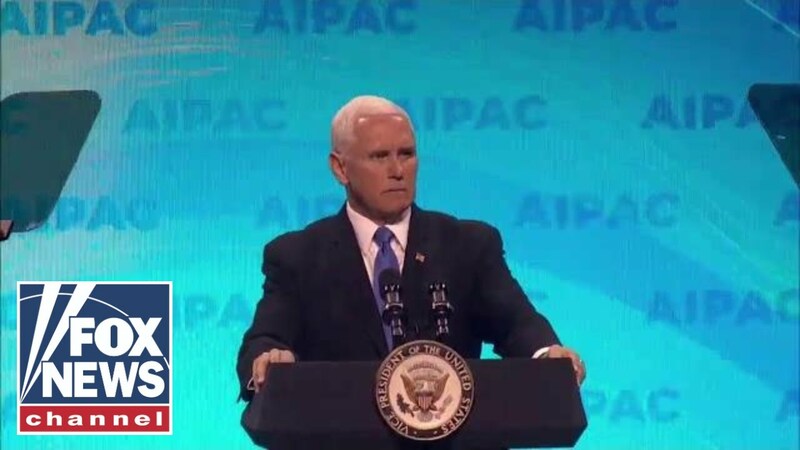 Did the Democratic party’s 2020 presidential candidates deliberately shun AIPAC’s annual Policy Conference in Washington DC? It was a question I heard time and again at the Walter E. Washington Convention Center as the conference got underway this past Sunday. Some in the audience of 18,000 booed and hissed, while The Washington Post took the vice president to task, questioning the veracity of his statement. Meanwhile, another four of the candidates didn’t issue announcements; they just didn’t show up. The fact that these absences come in the wake of Congresswoman Ilhan Omar’s belligerent tweet presenting support for Israel as “allegiance to a foreign country” speaks volumes. There is a misconception on the left that antisemitism is a right-wing problem. On Tuesday Omar’s (Jewish) communications director Jeremy Slevin tweeted angrily in response to the recurrent assertions at AIPAC that his boss was an anti-Semite. “Anti-semitism is a right-wing force,” he thundered, repeating the phrase another seven times in the same tweet. But he could not be more wrong. The difference between right-wing antisemitism and left-wing antisemitism is very simple. On the far right they readily acknowledge their hatred of Jews, but on the left they deny that any such hatred exists. Unsurprisingly, there are no Jews on the far-right – there are, however, plenty of Jews on the left, all of whom have eagerly embraced the insidious liberal progressive narratives that vilify Israel and its supporters, and they are simultaneously in complete denial about the lion’s den they have made their home. No amount of logic will sway them, and their uncritical support actively enables trope-peddling hypocrites like Omar. And to those who say there is nothing to worry about, on the basis that fringe opinions on the left pose no danger to the US-Israel relationship or Jewish Americans, just ask the Jewish community in the UK what they think of that. For decades Ken Livingstone and Jeremy Corbyn were dismissed as fringe politicians, referred to in the media as representatives of the “loony left”. And then, one of them became Mayor of London, and the other became leader of the Labour Party. In the meantime, hostility towards Jews and Israel is on the rise in the UK, all under the guise of legitimate criticism of Israel. The Democrats who avoided AIPAC may not see themselves as anti-Semites, but by pandering to the zeitgeist – even as they deny that the zeitgeist is anti-Semitic – they have become unwitting partners in a trajectory towards a dark future. Whether it was a deliberate boycott or not won’t make an iota of difference when that future arrives. Meanwhile, I was delighted to note the increased attendance of overtly orthodox Jews at AIPAC, including a noticeable number of black hats. This marks a real change from years gone by, when kippot-wearing delegates were few and far between. In the past, whenever I challenged my orthodox friends for not attending the conference, they made excuses – America’s support for Israel is clearly God’s doing, they said, so why waste time and money going to Washington? Such quasi-religious justifications are nothing but a lame excuse. Actively supporting pro-Israel efforts at AIPAC and elsewhere is crucial – particularly if you are a fully observant Jew. 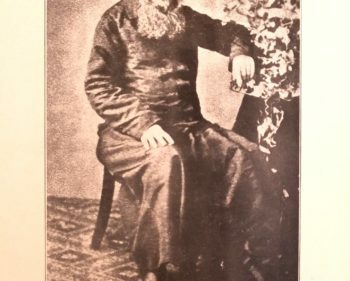 In Shemini (Lev. 9), the Torah describes the various rituals that took place during the Mishkan consecration. Towards the end, Aaron raised his hands towards the people and blessed them. The Midrash informs us that Aaron intoned the three verses of priestly benediction, although the actual words were only recorded in Nasso (Num. 6:24-27). A few moments later Moses joined Aaron in the tent of meeting, and when they emerged, they blessed the nation again; it was at this point that the glory of God entered the sanctuary. These same words were later recorded for posterity by King David (Ps. 90:17), and we continue to recite them each week at the conclusion of Shabbat, asking God for the work of our hands to be blessed during the week ahead. Although Aaron’s initial blessing was important, it was all about God’s blessings, as if the recipients were inanimate objects. The second blessing changed that completely, and took the task of any fulfilment of God’s blessings to the people. In order for God’s blessing to work, it needed to rest upon the work of their hands. Yes, God is the source of all prosperity, but if we do not initiate, the prosperity blessing has nowhere to land. That the most powerful nation on earth, the United States, has Israel’s back at every turn is unquestionably God’s blessing – but this blessing needs to rest upon the work of our hands, whether at AIPAC, on campuses, in the workplace, or in any other forum. And never has this fact been more important than it is today.